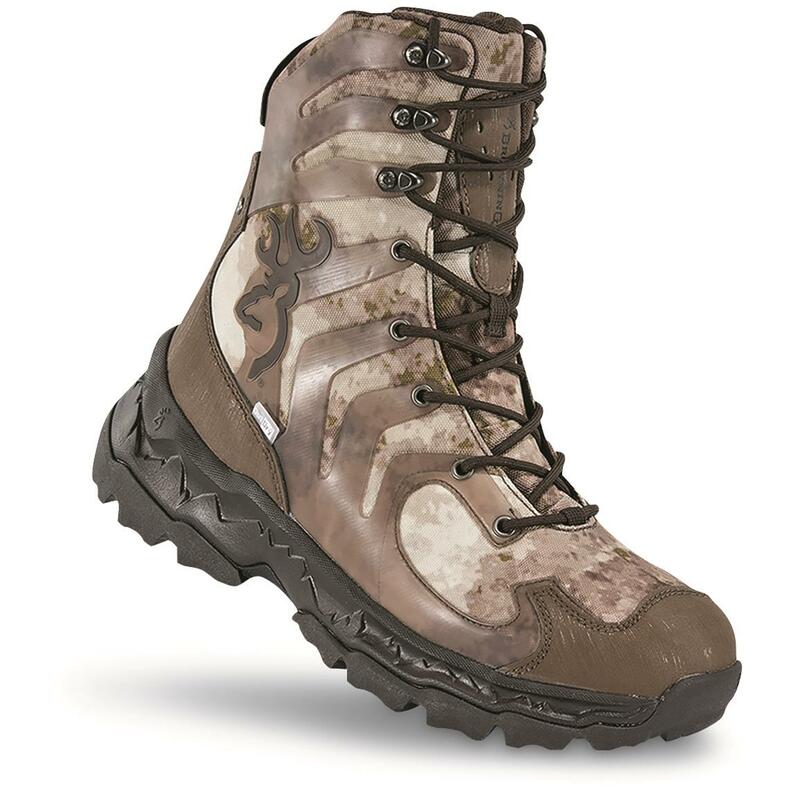 The Buck Shadow is Browning®'s flagship Hunting Boot, built to enhance your spot-and-stalk game! They're extremely lightweight but extraordinarily supportive, with a SymmPlateTM TPU arch plate that provides a stable platform for steep climbs and fast downhills, where your boots need to support all your weight. They also feature OutDryTM technology…a lamination process that bonds the waterproof membrane directly to the outer layer for 100% waterproof comfort and a responsive fit! So they're equipped to go the distance, whether you're in pursuit of elk in the Flat Tops of Colorado or mulies in eastern Montana. Each approx. 8"h., 23 oz. Weight per boot (approx. ): 23 oz.